Let the destination take you back in time. Welcome to Queensland – A state with a diverse offering of heritage and culture. You’ll discover some amazing places with National Trust of Australia (Queensland) from Currumbin to Cooktown. Heritage, culture and conservation, you will get to experience it all. You can discover them all with our members receiving free entry, parking, discounts and so much more. Why not pick up your National Trust of Australia (Queensland) membership and get ready to experience our nation’s treasured culture and rich heritage? Places you won't want to miss. Brennan and Geraghty's Store shows the pattern of retail development in a regional town. Iconic Gold Coast tourist destination where you can enjoy exciting, interactive displays, presentations and dining experiences. The pride and joy of Grandchester is the Grandchester Railway Station, built in 1865. 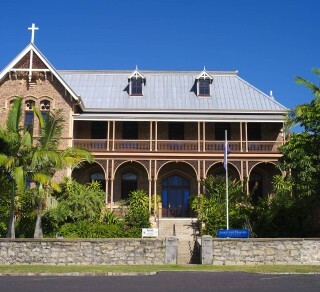 James Cook Museum is a must see attraction where visitors can take a stroll through history. Lyall's Store is a significant and intact store space, working area and strong room in a former gold mining town. Royal Bull's Head Inn is a rare, surviving inn building of pre-Separation Queensland. 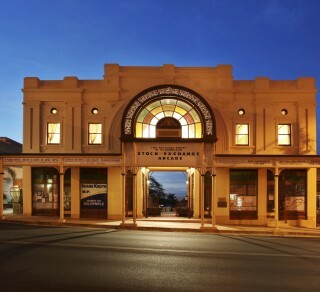 A rare example of an arcade in Queensland, one with architecture adapted to climate and well-liked for its scale and barrel-vault entrance. Discover life in earlier times. Lose Yourself in Detailed Agricultural, Medical, Mining & Military History from 1890s-1970s. Read more on how Queensland residents can save with membership. 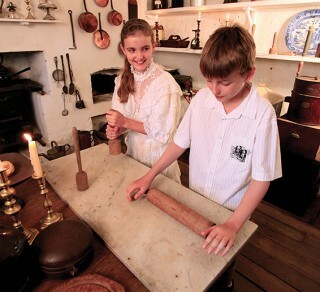 Students will step back in time and be immersed in the drama and history of Wolston Farmhouse.